SynapseIndia celebrated its 18th Foundation Day at the Posh Sariska Palace! 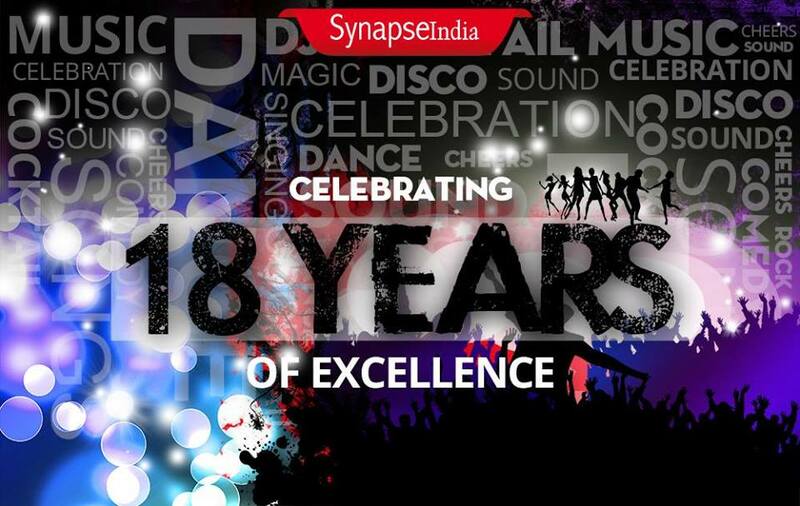 Recently, SynapseIndia celebrated its 18th Foundation Day at the posh and majestic Sariska Palace. Idyllic location, proximity to the lush Sariska Wildlife Sanctuary, panoramic vistas, breathtaking architecture, ultramodern amenities, and traditional welcome arti, teeka & folk dance by local folk dancers enthralled the SynapseIndians as they entered the regal palace in Alwar, Rajasthan. The highlights of the celebration included enticing performances by the dance troupe during the celebration, funny antics of the comedian and mimicry artist, skits performed by the employees, DJ, dance, and more. The delicious food that was served during the celebration, further, added to the joy of the celebration. In short, all SynapseIndians enjoyed the celebration through and through!